Well, Its been a week since my last post. What has happened. A lot! First of all, we started our second week of Playtime at the Playhouse. Cody and I wrote a revue about the Jackson Hole Playhouse Glee Club. It was HILARIOUS! It had 9 songs in it too!! What were we thinking. But the show turned out pretty good Wednesday. A few dropped lines here and there, but for the most part the kids did a great job! And they learned a lot of new songs and good skills. Cody and I with the kids! Last weekend I went to SLC for a quick trip with Ben and Sam. It was really fun! I stayed with Bradford. We spent most of Sunday sleeping, since I was SO tired from the drive. Then I did a bit of much needed shopping at the Gateway, had some sushi, and saw Alyssa, Dave, and Lauren in Hair at the Egyptian Theater in Park City. And boy did we see ALL of them! HA But the show was good. Hair isn't my favorite musical of all time, but their production was good. It was also good to be there for Bradford, listen to him when he needed to talk, and just be with him. Poor guy. He has a lot on his shoulders trying to raise two beautiful children alone since his wife Heather passed in May of Brain Cancer. He has to be so strong for them and for others in the family. I love just listening to him talk about her, and being strong for him so that he can have his moments to grieve a little. Hopefully he'll make it up for 4th of July weekend with Carson. Now its a new week and we are working on Hairspray with our kids. We have 9 this week! And so far so good! Marin came to the show tonight and said we were doing just great! She had a few small notes, but nothing we had to have rehearsal for. And Ben's family is in town too. My fam is coming soon. 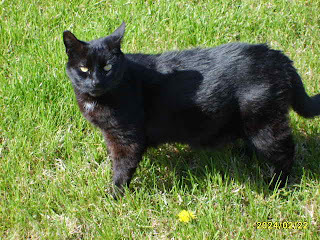 In other news, I just found out that my cat Midnight, who we've had for over 16 years is pretty ill and probably on her last leg. :( She will be missed.